A father-son team wants to bring affordable diamonds to the Tri-State. Read on for the dazzling details. Gold and Diamonds is a family-run business that offers customized jewelry for customers. Looking to add to your jewelry collection in 2019? 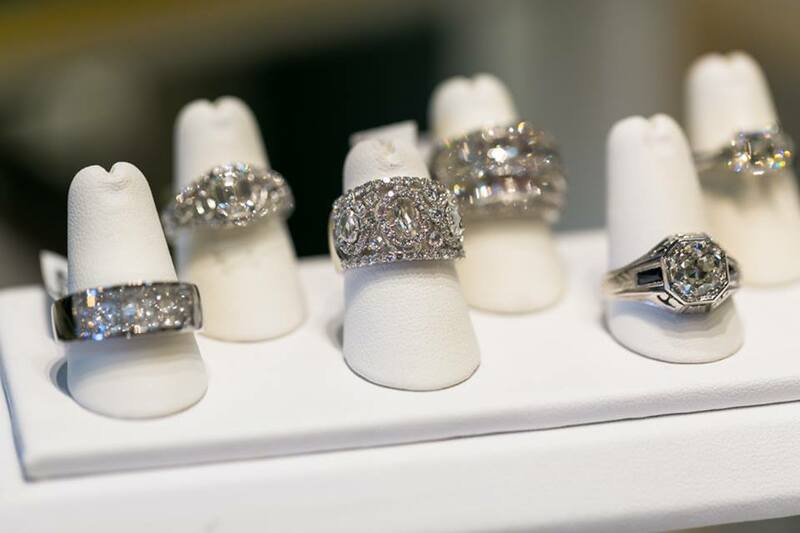 Locally-based Gold and Diamonds is a Cincinnati jewelry store that is owner-operated and specializes in diamond jewelry. The father-son team was inspired to open a jewelry store because of their love of diamonds. “We wanted to share our love for diamonds with the community,” says Aaron Youkilis, who co-owns the store with his father Mike. Mike, the father behind the father-son team, is a second generation jeweler, and has been working in the industry for more than 60 years. His son, Aaron, is third generation and has been involved in the business for 15 years. Gold and Diamonds opened to the public in 2008, and the duo says they’ve been striving to make a difference in the local jewelry industry since. Custom work from Gold and Diamonds is popular among customers, especially when it comes to bridal pieces. When customers visit Gold and Diamonds wanting a piece of custom-made jewelry, the team allows them to sit down and design anything they can imagine using the store’s high-end computer software. Because Gold and Diamonds manufactures their own merchandise, this allows them to price it lower than what can be found at the average retail jewelry store. Gold and Diamonds, with 11 years of business under its belt, is looking forward to the future, Aaron says. Currently, they are working on increasing the bridal line, including new engagement rings, wedding bands, and a large selection of loose diamonds. Gold and Diamonds is located at 4440 W. Lake Forest Drive Suite 114 in Blue Ash. To learn more about Gold and Diamonds, visit www.goldanddiamondscincy.com. Or check them out on Facebook or Twitter.